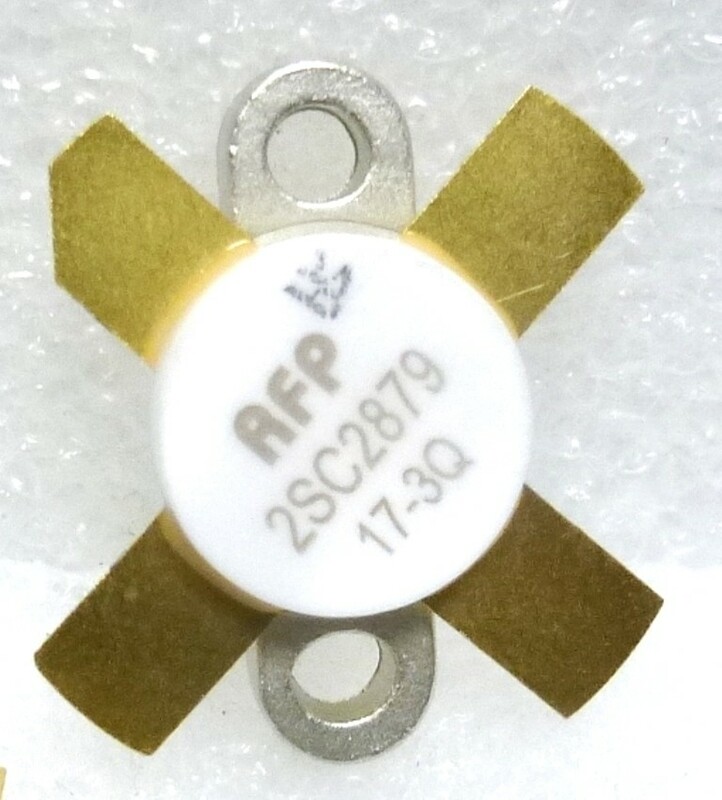 The new 2SC2879 HG transistor is specifically manufactured for RF Parts Company, and is identified with our RFP Logo. This is the closest copy of the venerable TOSHIBA 2SC2879. In addition to the normal BETA TEST, RFP subjects each part to our Curve Tracer examination to verify junction insulation and leakage characteristics. This is our Standard RFP Quality Control program instituted to weed out marginal parts that might cause problems during actual usage. RF Parts Company has had this 100% screening procedure in place since 1977. A Value Added step that only RF Parts Company can provide. When two or more 2SC2879 are ordered, they will be with same BETA Test numbers. 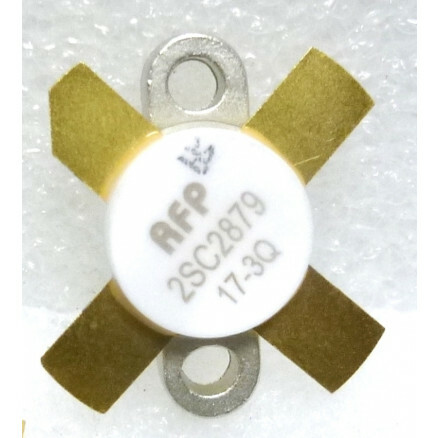 In addition to the 100% Quality Control screening and Beta Matching, RF Parts Company tests each transistor for RF Output @28 Mhz. Matched sets are selected based on RF Parts Company testing to provide as identical parts of the highest quality as possible. Transistors are selected into Matched Pairs, Matched Quads, Sets of 8, etc. Cannot mix this part with original Toshiba. If replacing parts in circuit, you must replace all the parts with same manufacturer.